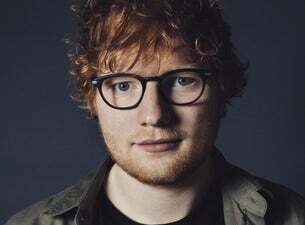 British singer-songwriter and global sensation Ed Sheeran has announced six huge headline shows, taking to Leeds and Ipswich in August 2019. These shows act as homecoming performances, with Sheeran born in West Yorkshire before growing up in Framlingham, Suffolk. They continue his worldwide tour in support of his third studio album ÷ (Divide). He is currently touring across the world, having recently wrapped up a North American tour. Sheeran played the UK last summer including four shows at London’s huge Wembley Stadium. The latest dates follow his first tour through South Africa, and see Ed take to France, Portugal, Spain, Italy, Germany, Austria, Romania, Czech Republic, Latvia, Russia, Finland, Denmark, Hungary and Iceland before arriving in the UK. Last summer’s UK dates saw Ed Sheeran play to over 1.1 million fans, making it the biggest ever solo tour without a band. All shows come in support of ÷ (Divide), an album that hosts hit singles Shape of You, Castle On The Hill, Galway Girl and Perfect. The album follows his hugely successful debut + (Plus), released in 2011, and 2014’s x (Multiply). Sheeran continues to break records, with Shape of You the most streamed track on Spotify, as well as the third biggest-selling single of all time in the UK. His sophomore album is also listed as one of the biggest selling albums of all time. Sheeran, who birthday is 17 Febraury, recently turned 28. He also scored another BRIT award in February, his second straight Global Success prized due to the huge success of Divide. Ed has been awarded five other BRITs, as well as a MBE for his services to music and charity, four Grammy Awards, four Ivor Novello awards, six Billboard awards and many more. For more upcoming music acts, visit our Pop & Rock guide.